President Joyce Banda voted in Zomba Songani Constituency at around 10 am, expressing her confidence in winning the poll. As the current leader was casting her vote in, Zomba, in Machinga was Atupere- UDF candidate who did it alongside his father and former Malawi President Bakili Muluzi. Both Candidates, think will win. Being watched by several journalists, from both local and international media outlets, President Joyce Banda said is composed and quiet. Resp0nding to questions from journalists, Banda who could not misuse the opportunity to speak positive of herself, said she is confident will carry the day as she thinks has performed in thye areas of economic development and poverty eradication. However, Banda who was asked on how she, as a sitting president will react if it she fails, did not respond as she seemingly was rushing to board a vehicle after voting. 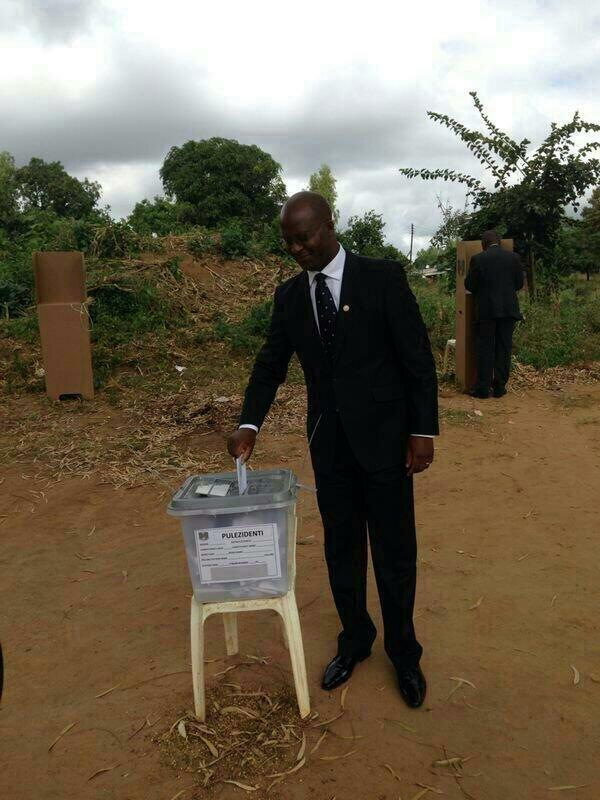 On the other hand at Kapolma, Atupele Muluzi of UDF also successfully voted. He too is hopeful everything is going to be alright.